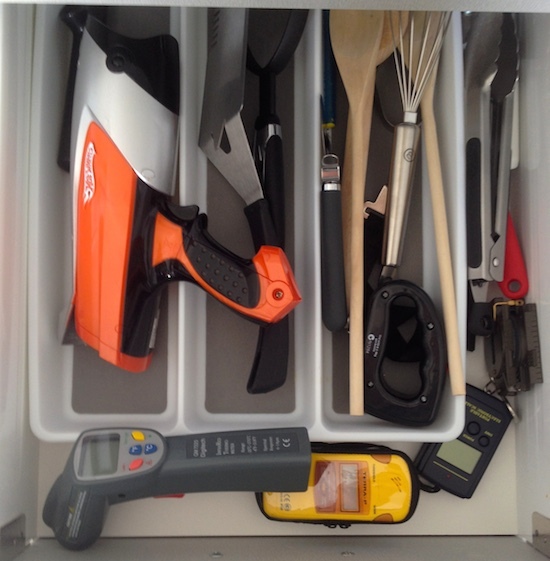 I like measuring things, this is perhaps best illustrated with this photo of the current contents of the second drawer in my kitchen. Apart from the usual cooking implements, it contains an infra-red thermometer, a compass, luggage scales, gas bottle scales, 10.5 GHz dopper speed gun and a Geiger counter. I also own numerous electronic meters of various kinds. My most esoteric measuring device is probably a Brix sugar refractometer (uses the bending of light to measure the concentration of sugar in a liquid). 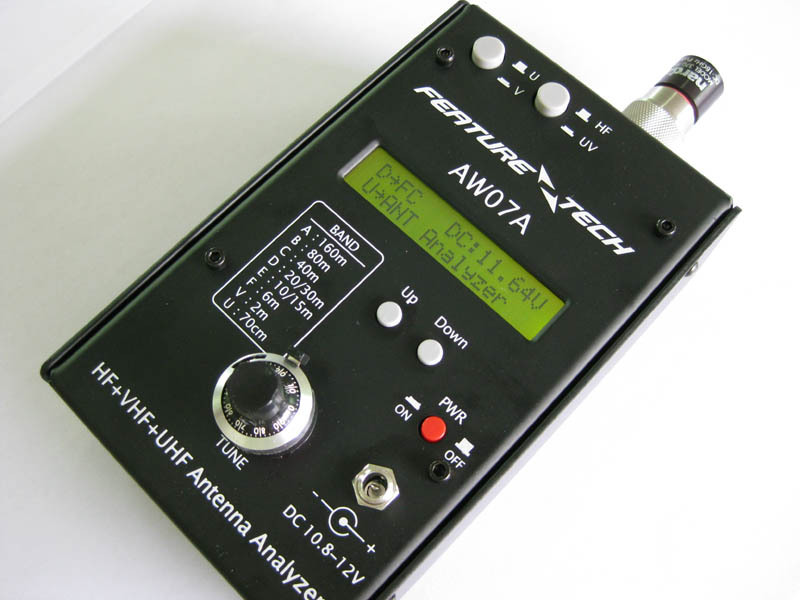 So it caused great excitement here when my antenna analyser arrived this week. At over $300 it’s my most expensive piece of equipment in the hobby. I purchased it on ebay, from a seller I’ve dealt with before and it took about exactly a month to get here due to some story about the stock they had being damaged. To their credit, they air freighted it when they finally had stock.